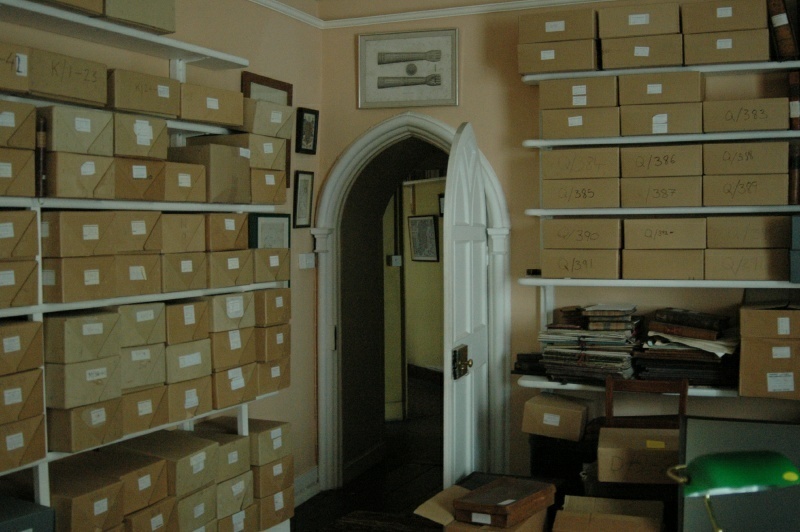 Part of the archives room. The cardboard boxes are meticulously catalogued. The archives room, on the big house's second floor, used to be the "smoking room."